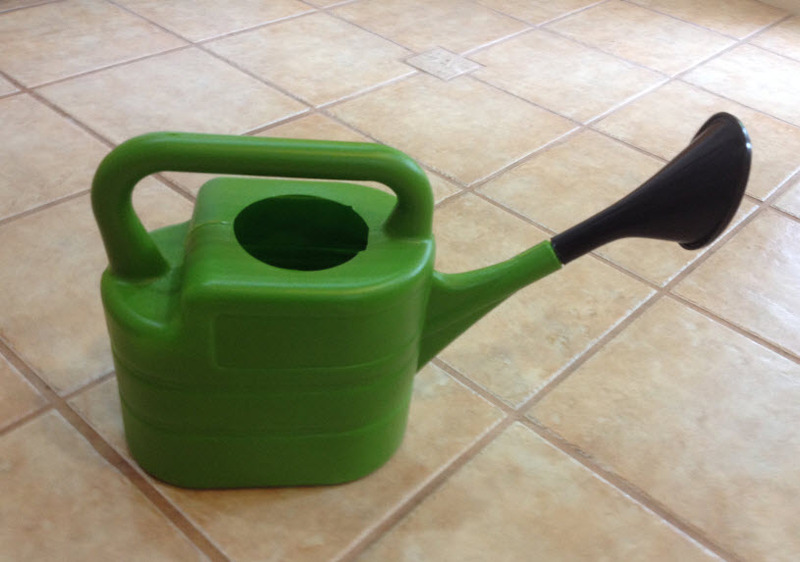 I went to Home Depot to buy a couple of watering cans for the potted plants front and back. The old ones had both disintegrated in the sun over the years and literally crumbled. I found this one. It cost less than five dollars and is made out of crude but solid plastic. When I looked for markings or indicators of how much water it holds, I turned it over. I would have sworn this was made in China. It never even occurred to me that it could be made in the USA. 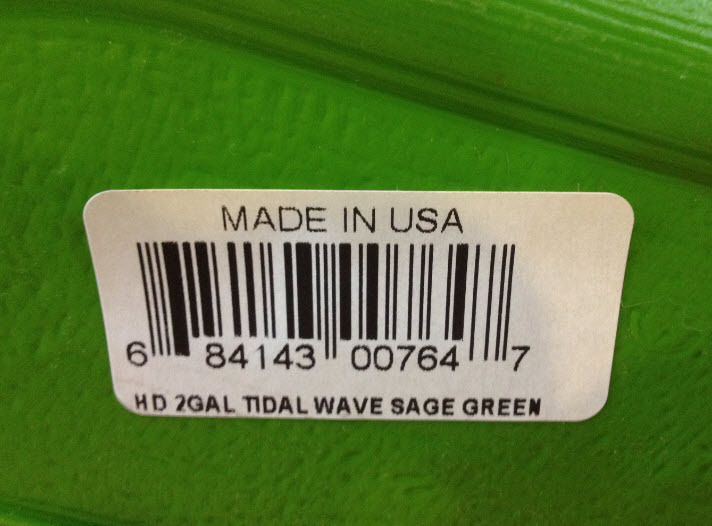 We can still make cheap stuff efficiently here in the U.S. And it didn’t have to cross the Pacific to get here. Let’s do more of this. My electric can opener died in 2007. I’m still opening cans by hand because I can’t find an electric one not made in China. I too get excited when I find things not made in China. If nothing else — and there are plenty enough reasons, like supporting the national industry and jobs — the lower carbon footprint already makes buying local heaps more attractive.